CERTA has employees with extensive knowledge and experience from the police and intelligence services. This experience includes the investigation and research of irregularities, including disciplinary and criminal offences such as bribery, corruption, money laundering, fraud, embezzlement and other financial crimes. CERTA makes this expertise available to private companies that need advice or other forms of assistance in managing cases where there are suspicions of irregular activity. CERTA gives advice and assistance to companies regarding the establishment and administration of arrangements that must fulfill special requirements, when managing cases of suspected money laundering. steps can the investigations lead to? 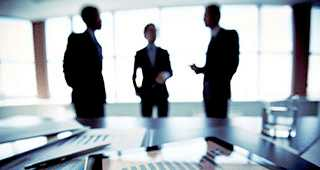 whether the company has shown the adequate diligence and responsibility. investigation. CERTA can likewise employ special capabilities and skills to perform technical investigations, interviews, etc. CERTA can as part of its concrete advice and assistance also take charge of or assist with contacting Danish or foreign authorities and other parties that could contribute to the investigations or would make decisions based on the investigations. This applies, for example, to the preparation of the delivery of a case report to the police. CERTA’s advice and assistance implies that CERTA is allowed to access and review the information relevant to the case. 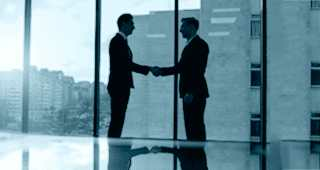 The obtaining of further information will happen upon later agreement between CERTA and the individual company with all information being handled confidentially, including after the investigation’s ending. Another possibility is to make an agreement between CERTA and the company about ongoing assistance in reviewing and evaluating cases of suspected irregularities. As part of the ongoing assistance, it will be possible to implement a visitation policy where CERTA assists the company with identifying the cases that give grounds to suspect irregularities.